Another game that I never felt like Michigan would lose but one that got about as close to that point as possible. On a day when the program honored the senior class, the defense was gashed early and the offense just couldn’t get figure out how to put the ball in the end zone. Being the ultimate trap game ahead of The Game, it wasn’t a total surprise they were caught looking ahead a bit, but what this team showed that previous teams had not was the ability to push through the adversity (including losing All-American DE Chase Winovich) and make enough plays to win the game. This was another very nice performance by Shea Patterson, as he finished with 250 yards and one touchdown through the air on top of 68 yards on nine carries. 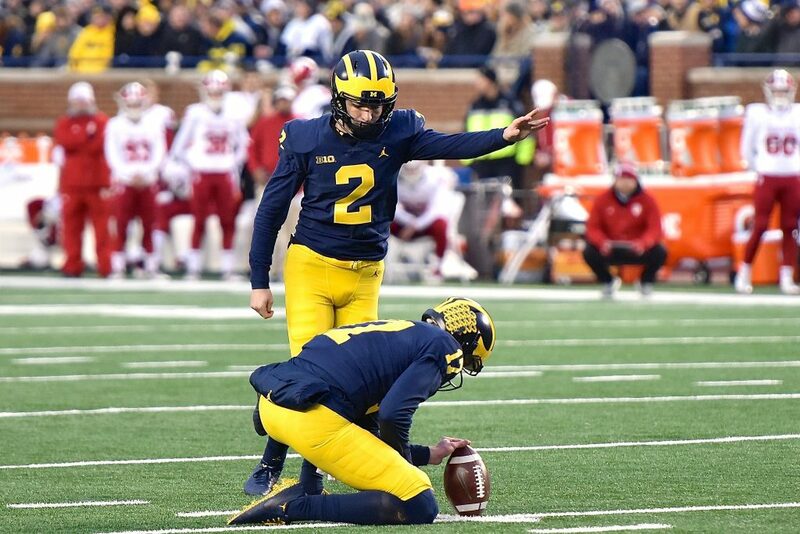 But it wasn’t all Patterson as Nick Eubanks had the huge touchdown catch, the defense locked things up after halftime, and freshmen kicker Jake Moody broke the team record by going 6-of-6 and pretty much winning the game for the Wolverines. That’s easily the biggest takeaway from this game as Quinn Nordin’s struggles and getting sick before the game may have cleared up the biggest question mark the team had. Whether he gets the start against the Buckeyes or not (he should), knowing there’s a go-to guy available could be the difference in a win and a loss. The 31-20 win over the Hoosiers moves the Wolverines to 10-1 on the season and sets up Saturday against Ohio State as the Big Ten East title game, with a trip to Indianapolis for the Big Ten Championship game on the line.